Roxanne Shuttleworth says a co-operative model is the right business structure for Indigenous designers wanting to lift each other up. 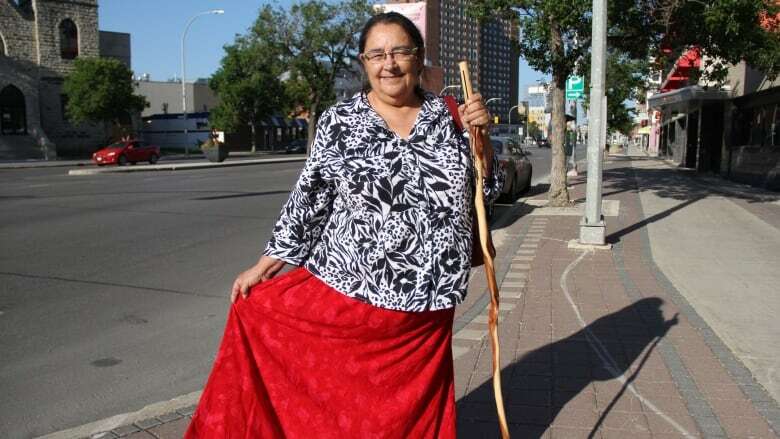 She is a founding member of the Winnipeg-based Aboriginal Designers Cooperative, a collaborative model run by Indigenous artists who make custom clothing, jewlery and home decor, and sell their wares at a rented retail space at Neechi Commons — and continue to do so, even following the closure of the grocery and retail store in the space. "We've always been a community that supports each other collectively," Shuttleworth told CBC Manitoba's Weekend Morning Show. "It was always what's best for the community, what's best for the village, and that's the co-op model. You're not in it alone … we're with a group." As the collective approaches its third anniversary, Shuttleworth said the business model — celebrated Saturday on International Co-operative Day — isn't for everyone. Members must commit to working together and align on shared goals, like retail storefront. But if they agree, members find it better to work together than alone, she said. The co-operative was inspired by Indigenous designers wanting to take ownership of their craft. They said their styles have been appropriated by some of the most famous names in fashion, and they wanted to unite under one banner to share ideas, collaborate and refer their clients to other designers. She encourages customers to support authentic designers rather than the imitators. "We have something to say through fashion, through apparel, through home decor," she said. That doesn't mean her styles are only for Indigenous people. She loves seeing anyone wearing her original pieces, she said. While the designers' co-operative shop has thrived, other co-operatives can struggle. Last month, the Neechi Commons grocery and retail store on Main Street — where Shuttleworth's co-op is located — shuttered operations due to mounting debt. Shuttleworth says it's disappointing, considering the potential the Indigenous-owned food co-operative had. The closure harms the Aboriginal Designers Cooperative because of the public perception that the building itself is closed. Their gallery space remains open at 865 Main St., she said. "We're very much there," Shuttleworth said.